We went to friends recently, who have a B&B, and they were installing these wall sockets with USB charging points built in. Seemed like a great idea, so we installed at least one in every guest room last week and they've already been hugely popular, today there's a phone or tablet plugged in in every room. People are going to charge their devices anyway so I'd far prefer this method than all the wires and adapters I normally see, especially as these sockets have a safety cut-out. And what's also interesting is the people in are Canadian, and they've all left their Canadian adapter that their USB normally plugs into on the side, which wouldn't fit into our UK wall sockets anyway. this is brand new to me! no technie here. now i will know i can charge this way. i've seen an outlet like that and didn't have a clue. us oldies have to be told. 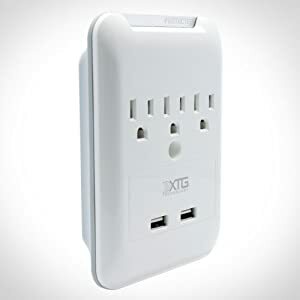 I got some "add-ons" like below that expand a regular outlet to also allow USB charging. I have them in every room. People still plug in their adapter. Drives me nuts.